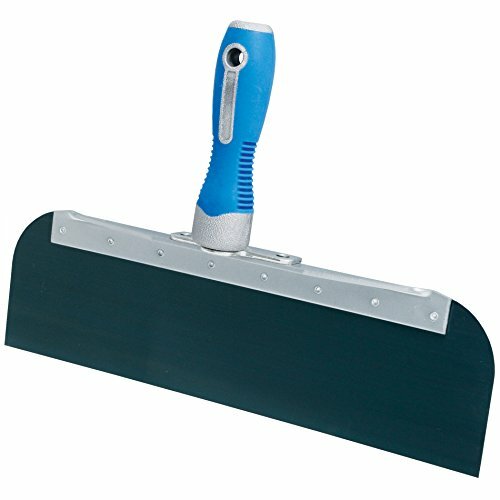 Advance equipment's 12-inch off set drywall knife, made with flexible blue spring steel blade is lacquer dipped, the blade is riveted to an aluminum angle by stainless steel counter sunk rivets for durability, the cool grip ii round handle has a soft overlay molded to smaller polypropylene handle which reduces hand moisture to improve your grip, resulting in better ergonomics and less hand fatigue. If you have any questions about this product by Advance Equipment, contact us by completing and submitting the form below. If you are looking for a specif part number, please include it with your message. Advance Equipment OSG-10SS Off Set Taping Knife with Cool Grip II Handle and Stainless Steel Blade (6 Pack), 10"
Advance Equipment OSG-10 Off Set Taping Knife with Cool Grip II Handle and Flexible Blue Spring Steel Blade (6 Pack), 10"
Advance Equipment OSG-14 Off Set Taping Knife with Cool Grip II Handle and Flexible Blue Spring Steel Blade (6 Pack), 14"
Advance Equipment OSG-8SS Off Set Taping Knife with Cool Grip II Handle and Stainless Steel Blade (6 Pack), 8"
Advance Equipment OSG-12SS Off Set Taping Knife with Cool Grip II Handle and Stainless Steel Blade (6 Pack), 12"